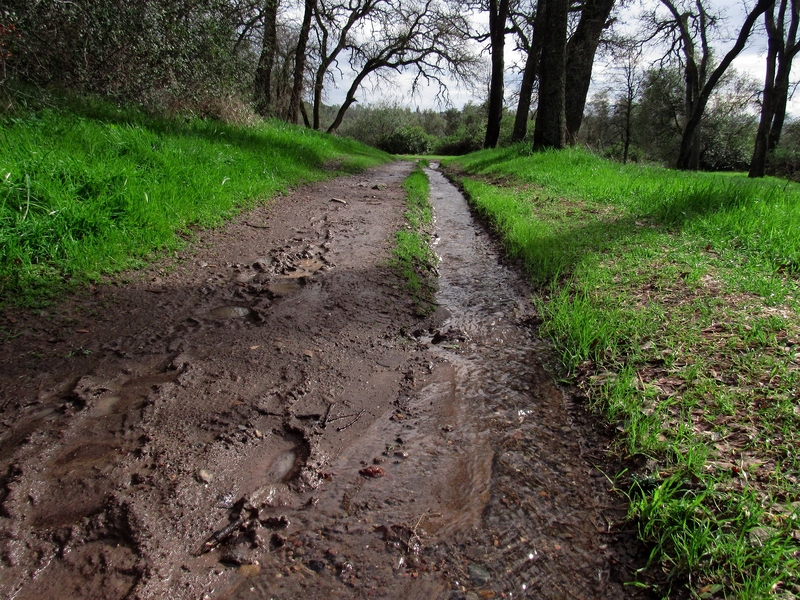 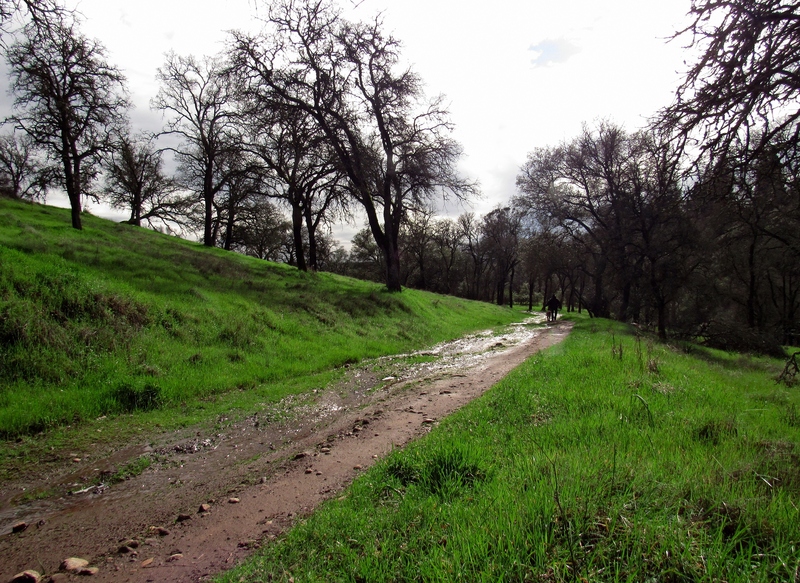 A while ago I posted about the Apartment trail at the north end of the Orangevale Palisades. 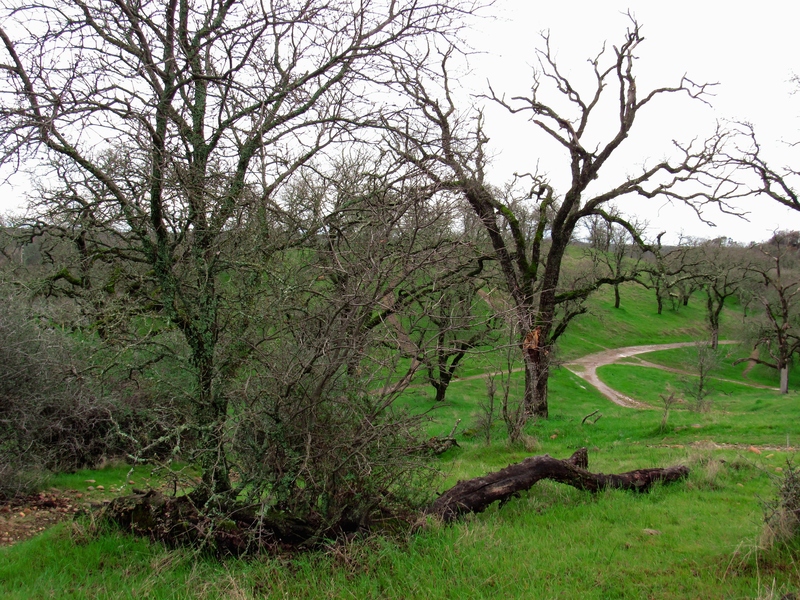 On the southern end of the bluffs is another trail that takes us down to Lake Natoma at Mississippi Bar. 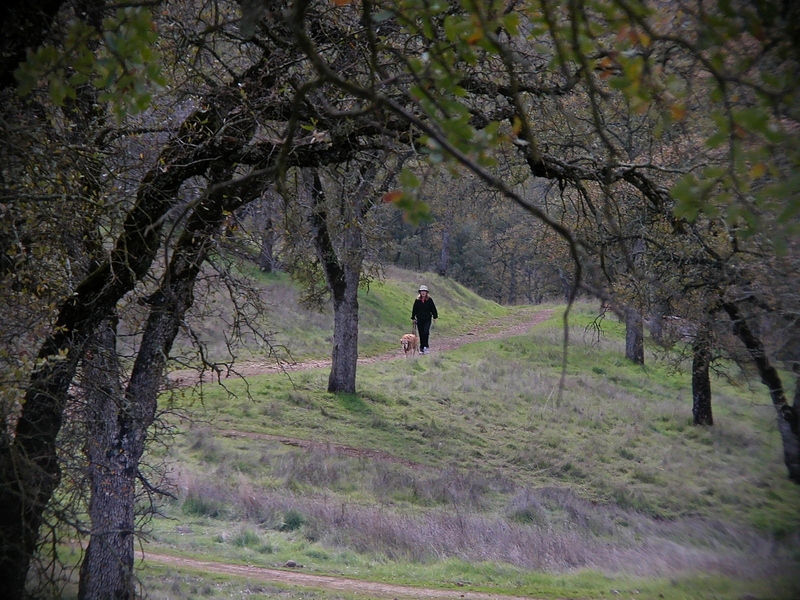 We’ve come to call this path the Snake trail because of the small rattlesnake we encountered there one summer day, many years ago. 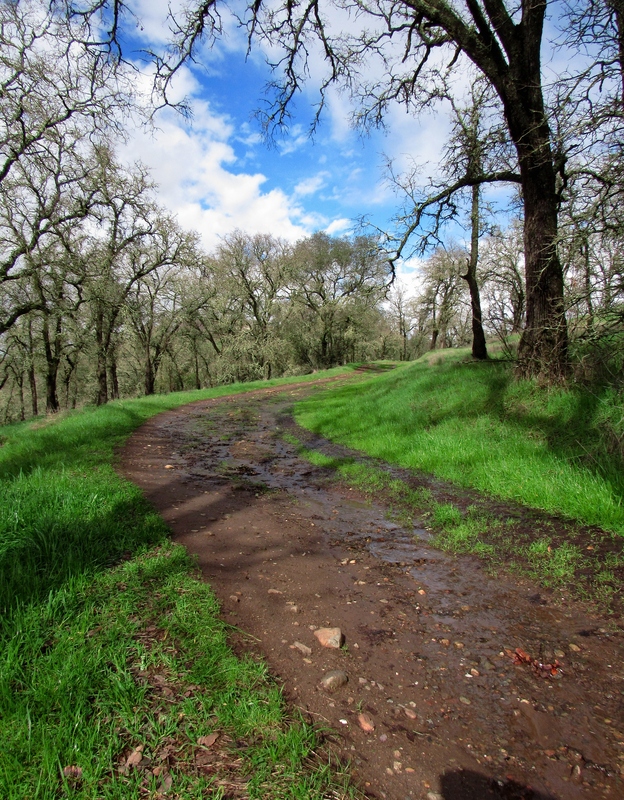 This trail is very popular with dog walkers, runners, and mountain bikers, but thankfully it’s still possible during the week (especially if the weather is cold or wet) to hike through here without seeing anyone. 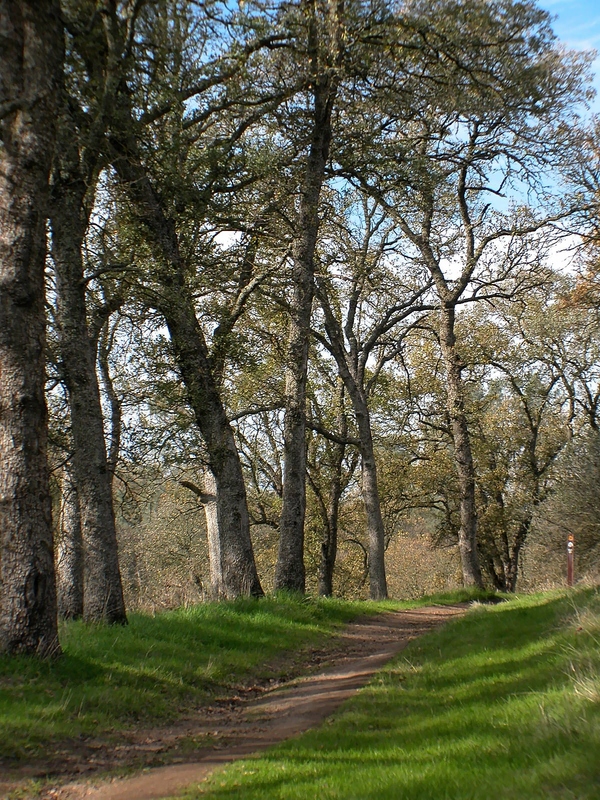 The area is protected park land and lies adjacent to the American River Parkway; so it’s possible to hike for several miles in a completely car-free environment.